Grenada’s Health Minister Nickolas Steele has assured Dominica’s Prime Minister Roosevelt Skerrit of Grenada’s commitment to help his country rebuild, following devastation by Tropical Storm Erika. Steele was among the first ministerial delegation from any country to arrive in Roseau following the devastation. He arrived Sunday as head of a delegation, which included Deputy Commissioner of Police Franklin Redhead, an engineer, and a pathologist. The Minister also brought hundreds of pounds of initial supplies, including water and non-perishable food items. Prime Minister Skerrit told Steele about his appreciation for the solidarity shown by Grenada and other governments in a time of need. 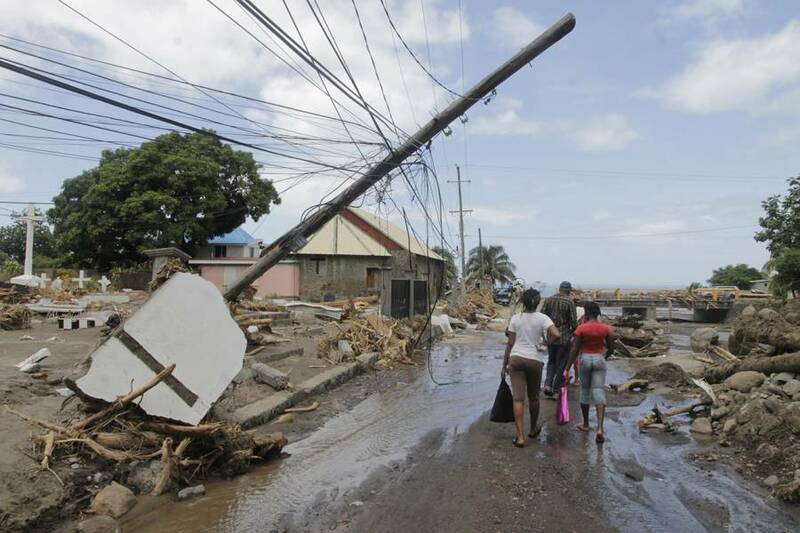 The Grenadian minister assured the Dominican leader that every Grenadian is rooting for his nation’s recovery, and that the Grenada government will help spearhead other relief efforts at home in the coming weeks. 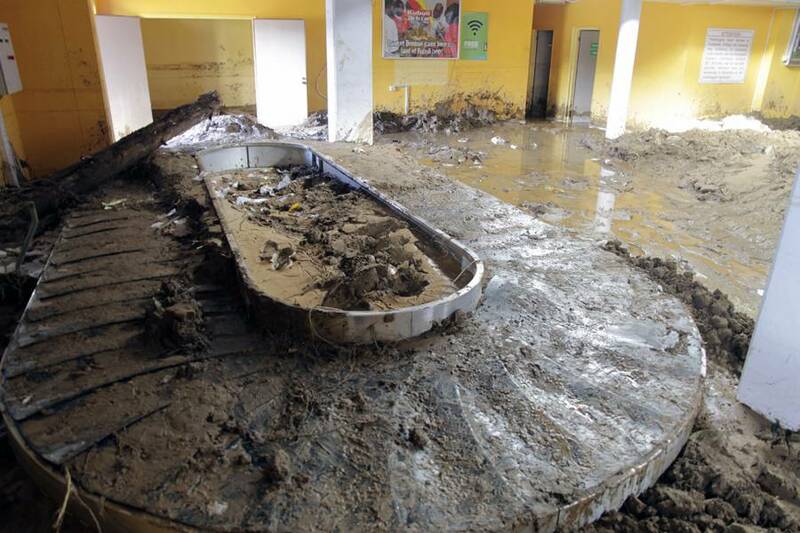 Steele toured a number of the devastated sites, including the PetroCaribe Plant and the island’s main airport. 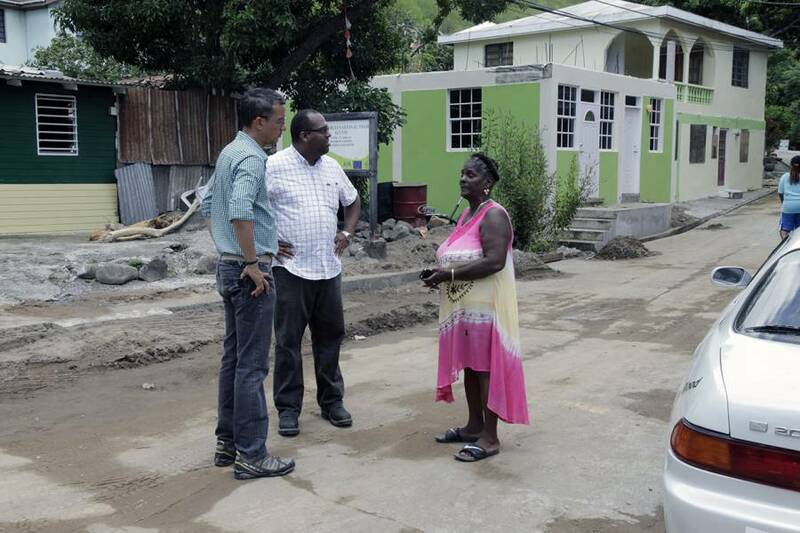 “I and my team have been moved by the level of devastation that we saw throughout Dominica. 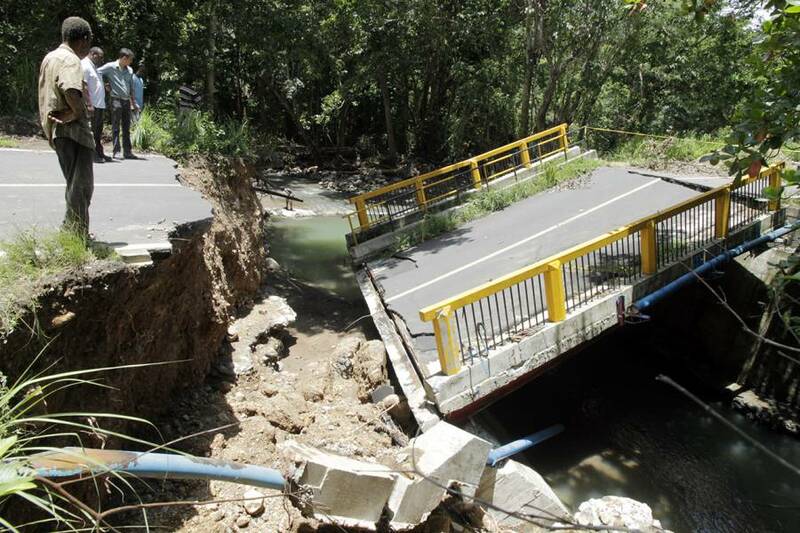 It is clear that they will have a long road back, but we are rooting for the Dominican people to build back better just as we did after Hurricane Ivan,” Steele said. “The Dominican people have been tireless friends of the Grenadian people; and this long history of solidary between our two countries will only be strengthened in the wake of this disaster,” Minister Steele said. Grenadians can continue to make donations at major retail outlets throughout the island, including MNIB, all Andall and Associates stores, Foodland, Food Fair, and Real Value supermarkets. Cash donations can also be made to the Dominica Relief Fund at the Grenada Cooperative bank, at account number #121004900. Meanwhile, Prime Minister Dr Keith Mitchell, in his capacity as Chairman of the OECS Authority, has appealed to member countries of the sub grouping to commit at least US$100,000 each to aid in relief efforts for Dominica. The Grenadian leader is also proposing that member states with Economic Citizenship Programs seek donations from high net worth individuals resident in the OECS or their philanthropic foundations in amounts ranging from US$100,000 to US$500,000. “Our brother Prime Minister Skerrit has indicated that one of the most pressing needs is for cash assistance totaling US$15 million. While the donor community is quick to respond with offers of material assistance, the mobilization of cash is not as easy,” said the OECS chairman, in a letter to all the Prime Ministers of member countries.